Business owners and managers sometimes face a tough decision: should the company lease an office copier machine or purchase this important equipment outright? The answer to this question usually depends upon a firm’s unique circumstances. This brief article addresses some of the most common pros (and cons) of leasing and buying. Leasing a photocopying machine holds some other benefits, too. It allows companies to utilize the most current photocopier technology. 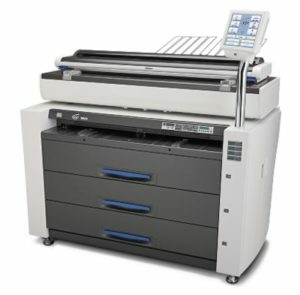 Even if a small business cannot afford the capital outlay required to purchase an expensive multi-function copier machine, it may still enjoy an opportunity to lease the device. Renting office equipment also avoids the inconvenience of eventually reselling older machines (unless the firm entered into a rent-to-own agreement). Of course, buying an office copier holds advantages and disadvantages, as well. While taking this step does usually require a significant capital outlay, it frees the company from expending money on an ongoing basis for equipment lease payments. The business gains an asset it can depreciate for tax purposes. Additionally, buying an office copier typically allows an enterprise to spend less for the equipment than it would otherwise pay over the course of a long-term lease or a rent-to-own agreement. By purchasing office copiers, companies also enjoy greater control over the provision of repair services. Some vendors which provide copier sales offer available maintenance services, too. Purchasers usually change service providers more easily than firms locked into rental agreements. One disadvantage of ownership: if the copier machine sustains expensive damage, the owner must either locate qualified repair assistance, or obtain copier services elsewhere. Businesses benefit by carefully assessing the pros and cons of leasing versus buying a copier. Most photocopiers prove invaluable in a busy office environment. Tax and accounting issues frequently influence these decisions!